When you join higher learning, there is a lot that is expected of you as a student. Learning, in general, comes with different tasks, some of which are too crucial to ignore. Assignments become the order of the week if not every day. In most cases, writing is one of the most important aspects and responsibilities bestowed on the student. Among this assignments are the research papers. These are not everyday assignments because they are extensive and require enough time to write. However, then does not exempt them from deadlines. As such, a student must have good writing skills to write a competent research paper. In other instances, a student seeks research paper writing services to get the job done. Writing excellent research paper pegs on the ability of the student to stick the instructions as well as the writing skills he possesses. As such, the student must have the basic knowledge of writing such a paper. 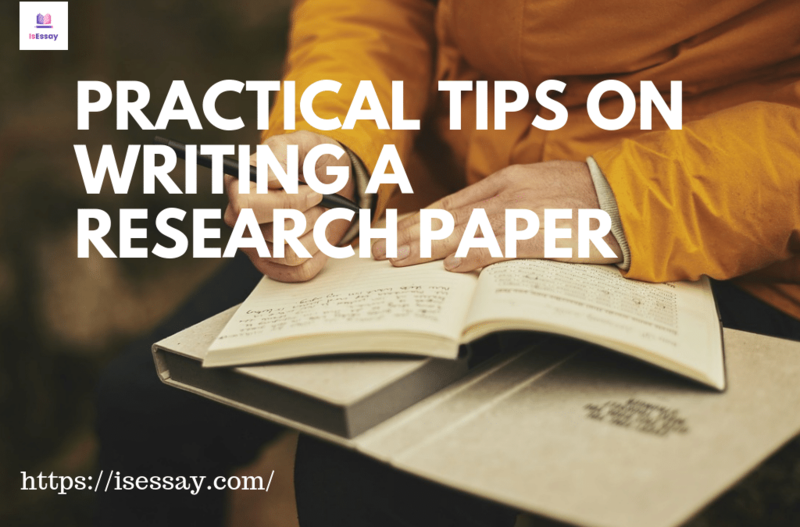 These tips are helpful when you want to write an excellent research paper. Before you start your paper, you have to plan. This will reduce the stress that comes with the process enabling you to produce some of the best works around. Get your pen, formulate a draft, and revise it. Be realistic as you assess how long you are going to take for each task. Most importantly, settle on a topic that will interest you most. When choosing your topic, ensure that you have narrowed it so that it is meaningful. When you narrow down your topic, it will be easier for you to get resourceful material to back up your claim. Another important factor is that you need to get your topic approved by your instructor. This will show him that you have a thorough understanding of the assignment. You are investigating this question. In other words, you are providing an important answer to your thesis statement. When you write your thesis statement, ensure it is one sentence that is simple and specific. When you come up with the best thesis statement, you will save so much trouble in the end. This is a crucial step in the research process. Research process becomes easier thanks to the electronic material that is readily available. However, you have to exercise caution because not everything you find on the internet is credible. You can start your research at the library. This is because it contains materials that the [professor may have listed for your course. You can also branch into another academic source to gather more information. Scholarly journals, periodical, and other relevant material can be instrumental in writing a perfect research paper. As you go through these sources, ensure that you have taken down important notes and did not fail to include the name of the author, dates, and page numbers. If you have a good outline, the process of writing a research paper is easy. You can start with an introduction that shows your reasons for writing this paper and the approach that you are going to employ. Go ahead to explain the major point that you are going to deal with in the entire paper. The body of your paper is supposed to contain arguments that you are going to use to support your thesis statement. The best thing is to use three supporting arguments for every position you decide to take. You also need to formulate a conclusion that restates your thesis using different words summarizes all the arguments and explains why you need to have such a conclusion. Your outline is essential when you are writing the rough draft of your paper. Any information you had on the note card that supports your argument is essential. However, refrain from using too many quotes. After you are done, read it over and check all your facts. Yo8u can redo any part of the paper that seems weak. At this point, you can revisit your assignment to confirm that you have met all the expectations. You can start proofreading carefully as you check the spelling, punctuation as well as grammar. It is crucial to ascertain that you have cited all the sources properly and outlined them in the bibliography section. Remember that failure to cite your sources amounts to plagiarism. Your research paper loses credibility, and as such, you have to ensure that you have everything in order. Ensure that all the formatting rules have been adhered to. If possible, get another person to go through your paper before you print it. Use the feedback to ascertain that you have written an excellent research paper. Ensure that the text is coherent enough for the audience to understand. The audience, in this case, is your instructor who has a good understanding of the grading process of any research paper. As such you have to be aware of the simple mistakes that can hinder you from the best research paper writing that you have wished for. After you have ascertained that everything is in order, you can print your research paper and submit it to your instructor. Students are faced with many academic tasks, all of which demand his input. Research papers are crucial assignments, and a student has to ensure they are done in the best way possible. The advent of custom research paper writing services has come to help many students, especially those that are faced with inadequate writing skills. Different online entities are offering these services as a way to alleviate the burden on the part of the student. However, not every writing service is good. If a student has decided to enlist the services of custom writers, he is supposed to ensure that it is credible enough. Not that most of these services are accepted by institutions of higher learning, but the student is using them regardless. Remember that a research paper is meant for communication purposes. A student must, therefore, ensure that he has communicated his ideas perfectly in line with the requirements of the assignment. Sometimes this can be problematic, and the student ends up enlisting custom writers, providing them with relevant information that will help them in coming up with an excellent term paper writing. The process does not change in any way, only that when a student uses a custom writer, the work is far better than what the student would have done. Many of them prefer these services because THEY not only enhance their chances of better performance but also make sure they have written a paper that is excellent enough to communicate the original message. Writing a research paper is not complex. The process is simple as you can see from the above tips. Paying attention to details is key, and every instruction given the professor is important. Where one does not understand what is required, it is better to ask to avoid confusion. The best thing about research papers is that they allow you room for correction based on the available deadline.